Shorts Navy 80% Cotton, 20% Polyester. 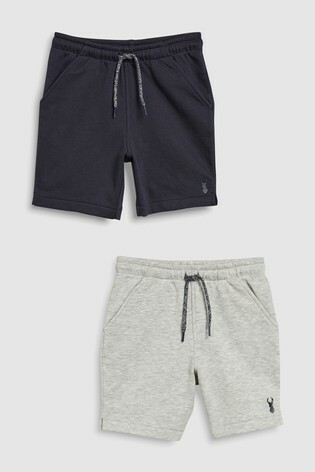 Shorts Grey Marl 76% Cotton, 21% Polyester, 3% Viscose. T-shirt white 100% Cotton. T-Shirt Grey Main 95% Cotton, 5% Viscose. Sleeves 100% Cotton.